The Louis Vuitton Express pulls into Shanghai. Photo Courtesy of Louis Vuitton. Louis Vuitton wowed audiences at the February shows when a vintage train pulled into the Cour Carrée du Louvre, carrying some very precious cargo – models bedecked in the Fall ’12 collection, each with her own porter toting iconic Vuitton luggage. “No girl will carry a bag this season,” proclaimed Marc Jacobs. “It will be carried for her.” And now the Louis Vuitton locamotive has reprised its role, this time in Shanghai, where it pulled in last Thursday. The two-day extravaganza celebrated the re-opening of the Louis Vuitton flagship in the Plaza 66 Mall, one of the brand’s most extravagant maisons to date. The festivities began with a cocktail reception on Wednesday evening, debuting the new digs to Chinese celebrities and VIPs including Fan Bingbing and Gong Li, as well as a host of It-Girls and Boys who were flown in for the occasion – Alexa Chung, Clemence Poesy, Poppy Delevigne, and Derek Blasberg, among others. The sprawling store boasts four stories, Italian marble floors, a phenomenal circular staircase, and a series of outdoor terraces with views of the Shanghai skyline. And in the atrium of the mall, Vuitton staged an exhibit showcasing vintage trunks and bags, as well as some of Jacobs’ most iconic collaborations. But even with all of that beauty and excitement, the main attraction was still yet to come – the Louis Vuitton Express. The train traveled all the way from Paris to Shanghai, on a picturesque journey documented by artist and photographer Todd Selby. 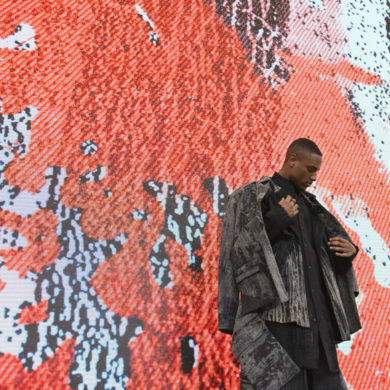 The twelve-day trip culminated in a perfect re-creation of the Fall ’12 fashion show at the iconic Bund on the waterfront in Shanghai. 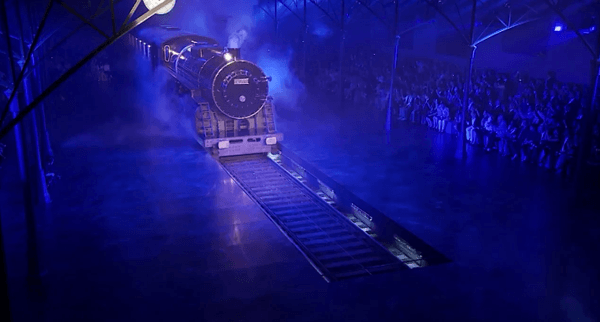 A mock train station had been erected, and in came the Louis Vuitton Express, filled to the brim with models clad in the latest Louis – complete with their travel trunks, of course. Leave it to Marc Jacobs and the Vuitton team to stage not one, but two train-themed fashion fêtes on opposite ends of the continent – quite the feat. Will the journey continue aboard the Louis Vuitton Express? No word yet, but we’ve got our fingers crossed.